We utilize years of experience to bring you the best combination of low maintenance, low water use, plats. 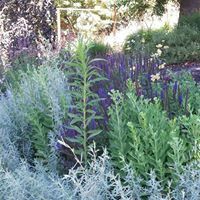 We specialize in habitat and pollinator gardens, color combinations, year round interest and entire dream plan integration. We design gardens that are beautiful, sustainable and dynamic. Whether it’s a preliminary plan, planting plan, Irrigation plan or construction details Landscape design is an art that requires attention to detail. We will finely tune and create the best plan for your garden needs. We source the finest plants from the region. 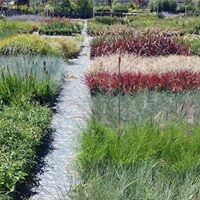 We specialize in planting materials that are not imported from out of the area climates. Our dedication to locally sourced goods makes your garden material already acclimated to succeed in your yard. Custom Plant Recommendation booklets specially designed to fit your needs and preferences in your area. This service is available to out of area clients! We can find you the right plants no matter where you are! Sometimes you don't need a plan, you just need a trained and experienced set of eyes to look at your project with you. To help identify problems (like the healthy weed growing in the picture on the right) before they set seed. I will come and evaluate your site and site challenges and make recommendations that are sure to be successful and allow you flexibility in your garden approach. Nature's Designs installs small scope and plant focused landscaping. We offer project management and will help guide your team with the process from start to finish. Irrigation programming can be difficult and confusing. I have programmed just about every brand of irrigation controller out there. When I worked as a corporate landscape maintenance manager, I was responsible for the operation of over 250 irrigation controllers. If you need help setting up or resetting your irrigation controller and setting it up on a comprehensive watering schedule you can adjust throughout the year, or help making sense of it, I'm here to help!